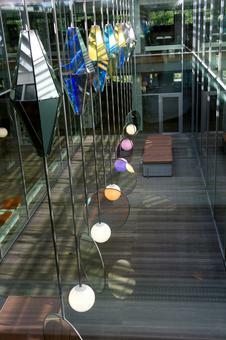 The work, whose title translates into English as 'Two air pockets with light,' is a permanent installation in two courtyard atria of the municipal library at the city of Kolding, Denmark. 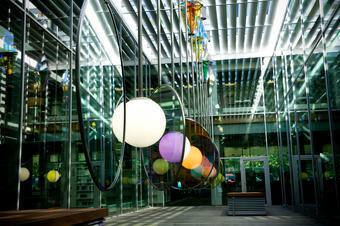 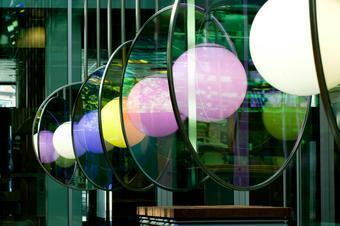 Suspended from the ceiling of the first atrium are glass discs and diamond-shaped lamps in colour-effect filter glass that create a play of tinted light across the room. 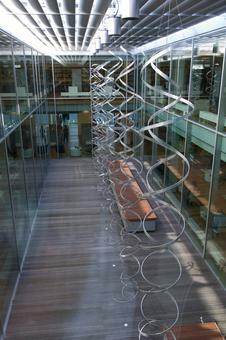 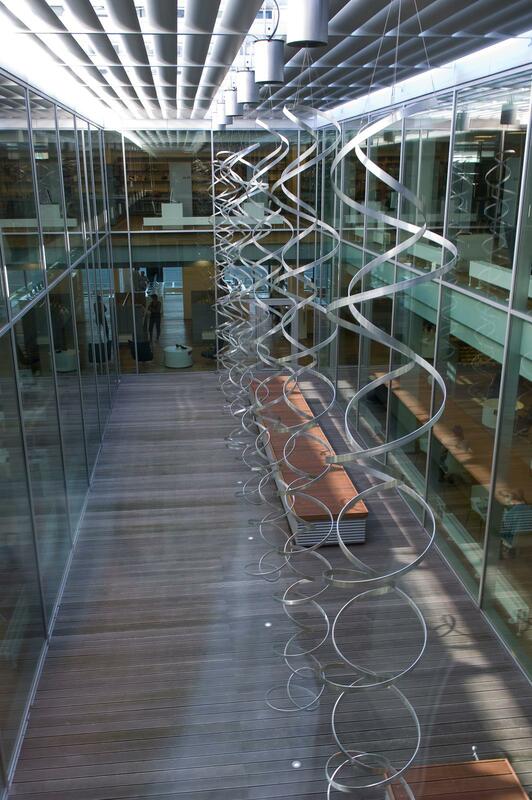 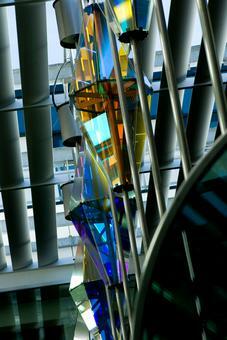 In the second atrium, a series of stainless steel spirals hang from the ceiling.